Why is the Sandman Ex Machina (i.e. : this is your [family member]’s real killer) re-used from Spider-Man 3? Why does this new Peter Parker look like Jamie Bell’s stand-in? How did the Marvel brass not know that Alfre Woodard was already cast as a different character in their own series, Luke Cage? What happened to most of Elizabeth Olsen’s Eastern European accent? Why cast Daniel Brühl as your villain if you’re barely going to use him? Was the creative team that ashamed of The Incredible Hulk that William Hurt is barely even acknowledged? Why is so little of this actually compelling? Anthony and Joe Russo give good direction, but the end result is befuddled. Further, the script falls like a CEO who’s lost everything. Christopher Markus and Stephen McFeely write very well for Captain America and his team, but they failed Iron Man miserably — one photograph of a dead college kid shouldn’t have been enough to change his politics. The character has seen death countless times over eight years, both his own and the Avengers’ fault, and this only hits him now? I hope the hiatus from now until Avengers: Infinity War – Part 1 clears the minds of all involved. Since his sabbatical from Pixar Animation Studios after Ratatouille, director Brad Bird made his debut into live-action filmmaking with 2011’s Mission: Impossible – Ghost Protocol. While a runaway success, I feel the film was a total letdown in its script and performances, which is a crying shame, as it featured luscious cinematography, daring IMAX scenes and stunts that flowed like mercury. I really wanted to like it — twice. Now, like a shining light comes Tomorrowland, the brainchild of Bird, Damon Lindelof (Star Trek Into Darkness, Prometheus) and newcomer Jeff Jensen. Of course, the film owes its existence to the mind and talent of Walt Disney and the Disneyland Imagineers, past and present, but this film is far from brand plugging — rather, it both tells a story that inspires and serves as a guide for the human race of today. In the film, Casey Newton (Britt Robertson, The Longest Ride) is an optimist in a time — as of this writing, that time is now — when everyone has just about lost hope in their own future, even her own father (Tim McGraw, The Blind Side), who is about to lose his job at Cape Canaveral. However, everything changes when she receives a pin that transports her into another world — a great, big, beautiful tomorrow, if you will. 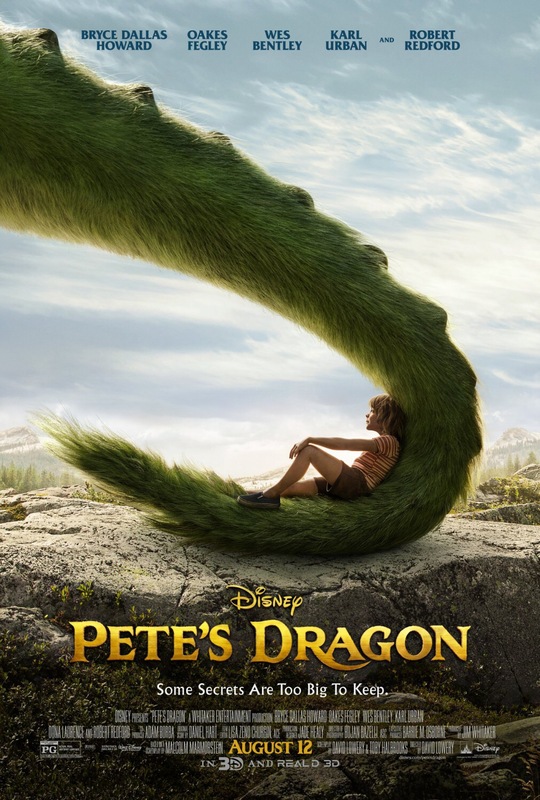 Hindered by the pin’s limitations, Casey seeks the help of Frank Walker (George Clooney, Ocean’s Eleven), a jaded inventor and gains the assistance of Athena (Raffey Cassidy, Snow White and the Huntsman), a little girl who is not all that she appears, to find the world that she yearns to be a part of, and save it from a sinister force. To get my only two gripes out of the way, there is, to my eyes, so much product placement — I’m not talking about Disney products, I mean outside sponsors — General Motors, Nabisco, The Coca-Cola Company — I’ve never felt my attention become stammered by product placement until now, but since they’re spaced few and far between, it doesn’t matter too much. Secondly, the script plays out smoothly for the most part, but toward the end, loses definition in its detail. Perhaps this is a casualty of the cutting room floor, or maybe the words sounded better on paper, but the movie still succeeds in its narrative, and that’s really what matters. Now to all who worry about when I said that the film “serves as a guide,” be not afraid — this is not a message movie; you will find no WALL•E-style, studio-mandated preaching here. If anything, I see the film as a kick in the federal government’s pants to get America back into the space race, as well we should — at the least, more tax dollars need to go to NASA, and not the pockets of money-born Senators. This film and Interstellar should be given back-to-back screenings outside the U.S. Capitol. On its technical merits, Tomorrowland shines, both in regular theaters showing it in the 2.20:1 aspect ratio (giving the feeling of a 70mm epic of old) and its Digital IMAX version, presented in 1.90:1, which fills the screen. The visual effects are luscious and grand, which begs the question as to why the film wasn’t shot/converted to 3D. I feel it would have fit like a glove, but given the amount of night shots in the film, I’m also glad it wasn’t, lest it resemble the 3D presentation of last year’s Maleficent. As for the cast, Clooney fans may be shocked to know that though he carries top billing, he’s not in the film as much as Robertson is, and that’s exactly how it should be — this is a story for the impressionable youth of today. On that note, it’s great to see Robertson carry the story in a sci-fi film that doesn’t require her to wear salacious clothing or wield a sword or gun. Some would call it boring, and under lesser talent, it could be that, but with Brad Bird at the helm, it works, and Robertson brings the requisite kindness and earnestness to her performance. Remember, she’s a high schooler who wants to build a better world, accent on “build.” As Athena, Raffey Cassidy just about steals the show, and holds her own among Clooney, Robertson and all others in the film. Her innocence and bright, girlish glee give the story the feeling of a kids’ adventure film in the vein of E.T. : The Extra-Terrestrial and more recently, Super 8. She’s surely got a bright future ahead of her, I just hope she doesn’t burn out like so many other young actresses. You may be wondering if this film has a definitive villain, so I’m going to tell you this: yes, it does, and go see the film to find out. I highly recommend Tomorrowland — it’s not perfect, but it has a heart of gold and never stops loving the future that isn’t guaranteed, but is absolutely possible. Go see it in any way you can, but any giant screen is your best choice!